It appears I am being stalked. Or even worse, it is me who is the stalker! Because even though it had only been three weeks ago that I happened to bump into Ellie from Almost Bourdain at Quay restaurant, there she was again sitting across the room from me at Masuya on this very night. We're here tonight to celebrate Sir D's birthday, and we start off with some drinks. 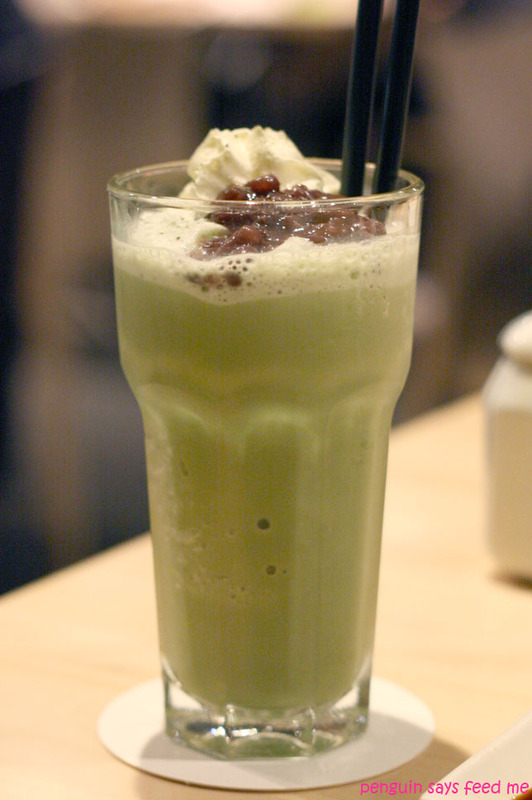 The green tea shake is a frothy, milky drink topped with a swirl of whipped cream and sweetened red bean. I wish I had ordered a couple more of these because they were so good I could drink them all day! The shake was quite sweet from the Tasmanian honey in it but still retained the subtle bitterness of the green tea. 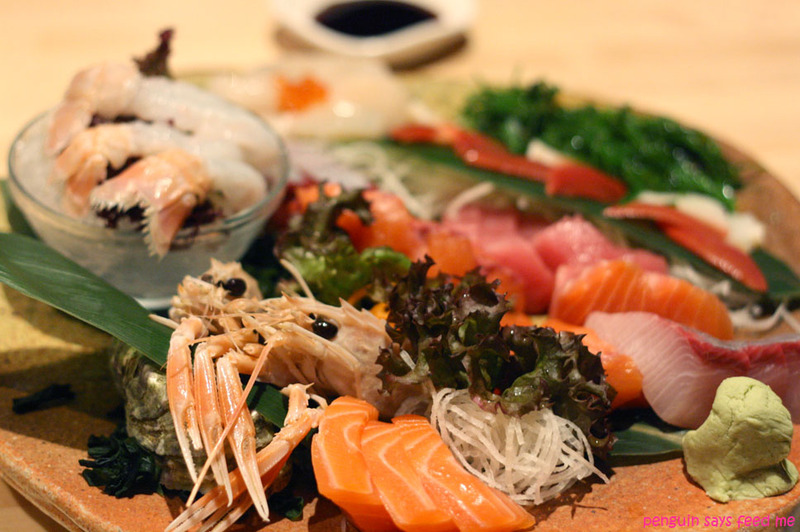 The first thing to arrive was our platter of sashimi - something I had been looking forward to all day! This plate was completely packed with fresh slices of salmon, tuna, kingfish, hokki, scallop and scampi. There was no doubt that the sashimi was top quality, and it was deceptively filling even though we shared this between 4 people. My favourites were the super sweet scallop slices and scampi, but everything on the platter was delicious and fresh. Since we ordered a large plate of sashimi, we decided to get a small plate of sushi. The Sushi "O'Connell" was a combination of traditional and modern sushi and I was particularly keen to try out the aburi sushi. I loved the spotty grill marks on the aburi salmon nigiri but they only had a very subtle smokey flavour which was a bit disappointing. 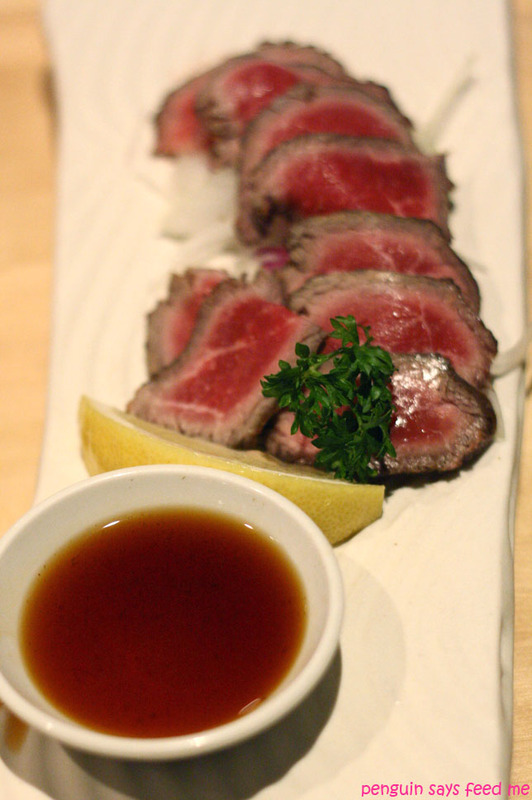 The beef tataki consisted of seared rare grain-fed beef slices sitting on top of a bed of onion and a side of ponzu sauce. It was going to be hard for this dish to live up to the high standard of the sashimi platter, and I found the beef a tad dry although the ponzu sauce and a squeeze of lemon definitely helped things. Moving on to some more filling dishes, we begin with the Katsutama pork loin which is comfort food at its best. 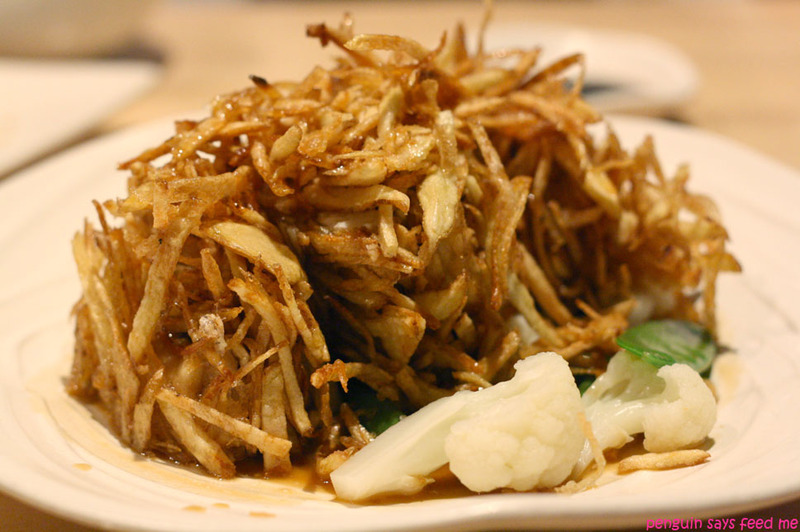 A deep fried crumbed pork loin, covered with egg and onions sitting in a sweet soy sauce arrives on our table and we dig in enthusiastically and although the crumbing of the pork isn't that crunchy anymore, it tastes wonderful having soaked up the sweet soy sauce. Even better is when you take spoonfuls of the sauce and drizzle it onto a bowl of rice and eat it with the succulent crumbed pork. Bliss. The next dish which is delivered to our table is met by peculiar looks from us as the waiter tells us this is jewfish. Where is the fish? 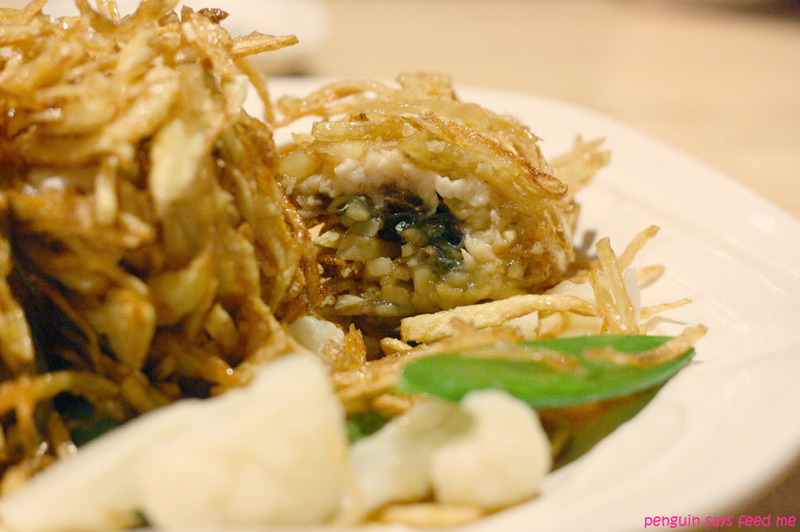 Cutting through the crispy potato net reveals a fillet of jewfish encased by finely sliced potato which have been oven baked until they are like crunchy french fries. This dish is a new twist on the traditional fish and chips, with the perfectly cooked fish being baked inside the 'chips', and served with a dill lime butter sauce and soy infusion. The 'chips' in the potato net are addictive, and I can't help picking them off one by one and crunching on them. 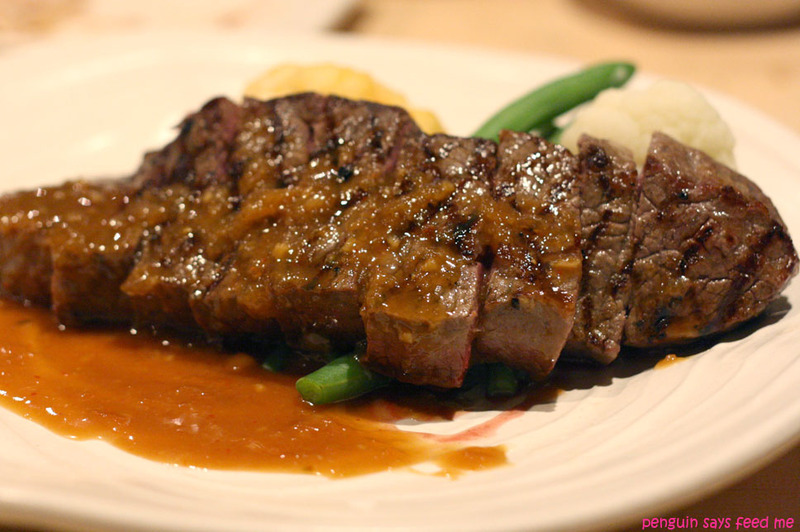 Sir D loves his wagyu so we order the wagyu beef sirloin with miso paste flavouring. The chunks of beef are so, so tender and biting into it releases the flavoursome juices and fat from the marbling in the beef. The sweet miso paste is a nice complement to the beef, and the dish includes some green beans, cauliflower and wasabi mashed potato. Although this dish wasn't as stunning as that sashimi platter (nothing comes between me and sashimi! ), it came a very close second and I was sad when the last piece of beef was eaten because I just wanted more and more! 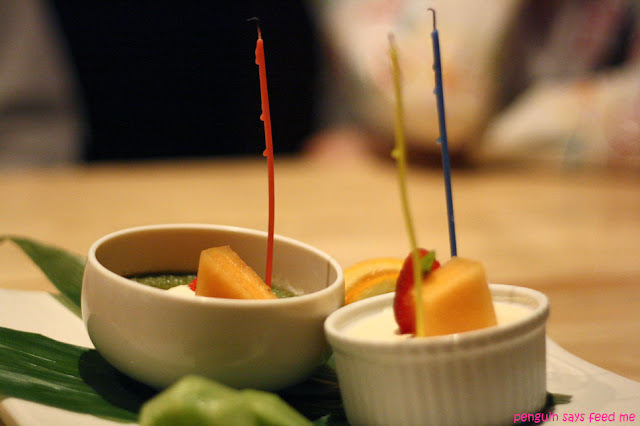 When I mentioned that it was Sir D's birthday, the staff kindly put a few candles in the desserts when they came out which was a nice touch, even if Sir D thought they looked funny. 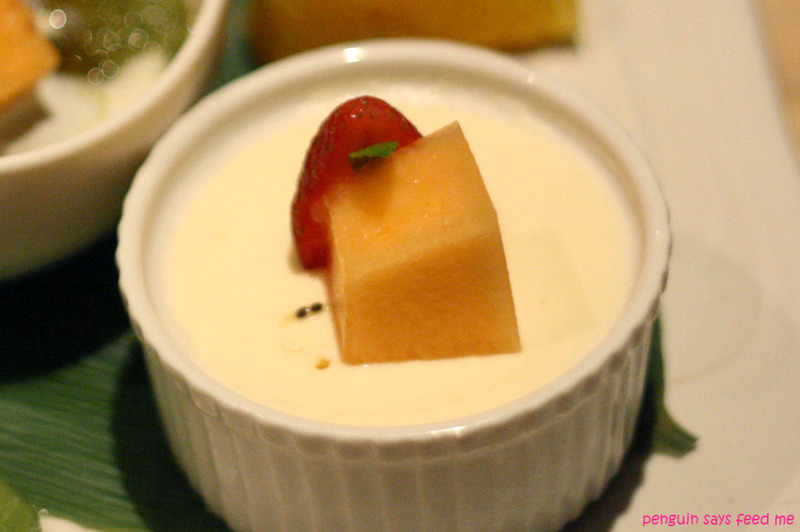 The two desserts we ordered came out on a nice plate with some fresh fruit. The tofu and cream cheese cake sounded intriguing and unfortunately that's all it was, because it was just a combination that didn't turn out quite right. I thought it was going to be like a cheesecake that was flavoured or made with tofu, but it just ended up tasting like a sweetened, dense cream cheese layer on top of a thick layer of not so fluffy sponge cake which was inside the ramekin. Most of this was left behind. Despite a few hits and misses with some dishes, most of the food was fantastic. But what you really come here for is the seafood, particularly the sashimi, which is possibly one of the freshest and best in Sydney. It probably wasn't such a strange occurrence bumping into Ellie at Masuya since I understand she is a regular visitor. And it's not hard to see why - when you are tempted with awesome green tea shakes, perfectly cooked Wagyu beef and super fresh sashimi, it's almost impossible to not keep coming back for more. I have been meaning to visit this place. 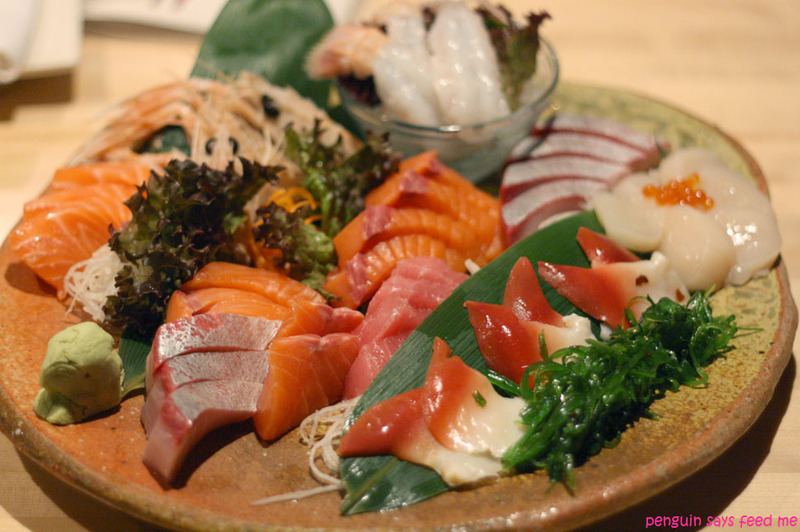 I am glad that the sashimi was fresh and tasty. The jew fish looks very interesting and I am hungry to try it. I would dig right into that beef tataki! oo Sashimi looks amazing but not sure I am ready to try jew fish just yet! I really wanna have that green tea glass and sashimi. The jewfish looks interesting. Sounds like it could be worth a try! Sounds like you had a great night! The food looks scrumptious and such a bountiful feast from the sea is sure to light up any occasion!!!! Bumping into each other twice! What are the odds? The thing is was it really by chance...? ooerrr.... that jewish looks really gooodddddd..... hahah I wondering is you stalking Ellie, or she stalking you?! ROFL! Hey, stalker!! It's nice to "BUMP" into you again. 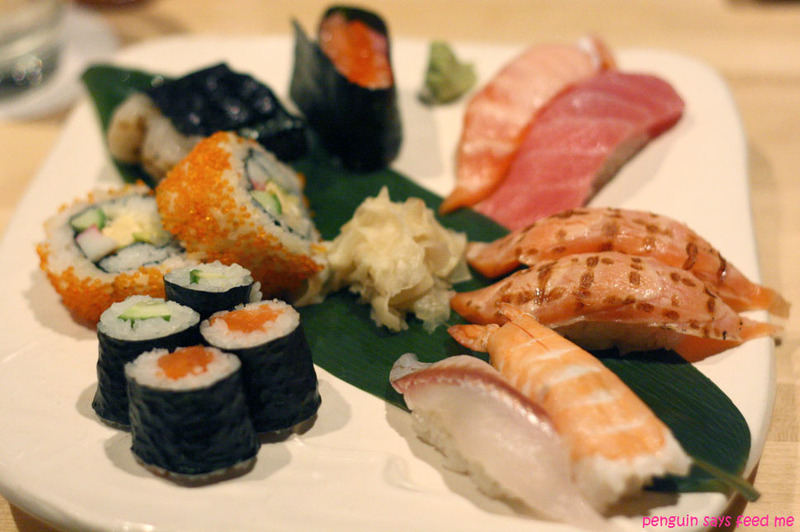 My favs are their sashimi, pork katsu and miso wagyu! 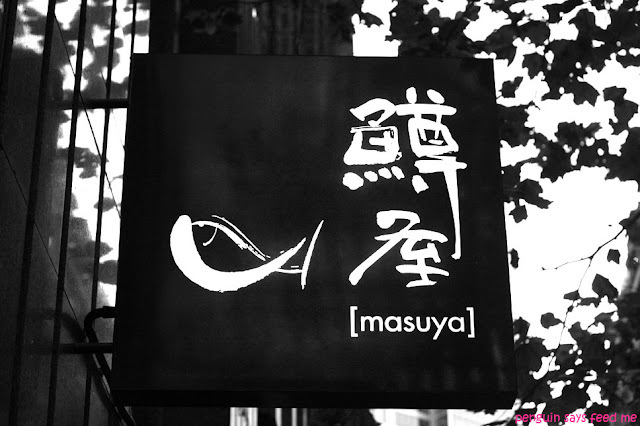 Hi Amy - Do go and try Masuya, the sashimi is soooo good! Hi Helen - Hehe 'crunchalicious' what an awesome word! I've been keeping my eyes peeled wherever I go in case I spot Ellie yet again! Hi missklicious - Yeah, I totally wasn't expecting a pile of potato to arrive on the table haha but it was a really nice dish, quite different from anything else I've had at a Japanese restaurant. Hi FFichiban - What a travesty that you haven't tried it... unless it's new? This is only my 2nd time at Masuya and I don't remember seeing it last time so it might be a new menu item. Hi Ellie - Why hello fellow stalker! =P All the food was really good but I have to agree that the sashimi and the miso wagyu were my favourites :) Wonder when we'll bump into each other next? I haven't been to Masuya for a little while now, mainly because I'm not around the city much anymore. But I strongly urge you to try Koi - you'll love it there! 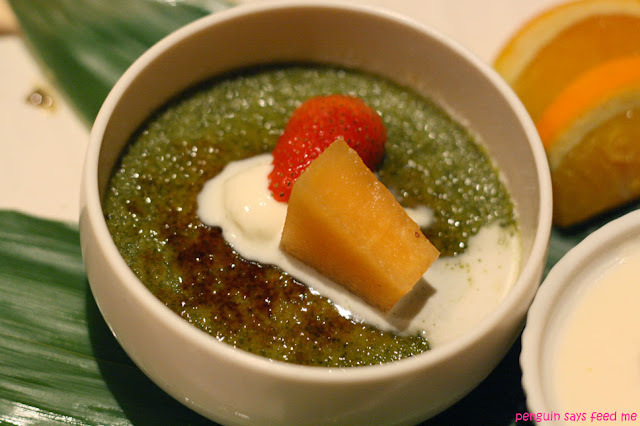 Hi mademoiselle délicieuse - I really want to go to Koi, the food looks awesome but it looks quite expensive as well which is what is sort of putting me off. How do the prices compare to Masuya? Penguin says Feed Me is licenced under a Creative Commons Licence. 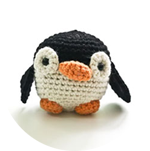 Copyright © 2018 by Penguin says Feed Me!